The deviant criminal mind and online impostor in the online dating/matrimonial arena can be summed up in two words the ‘Romance Scammer.’ The images that Romance Scammers prefer to use on fake dating site profiles are that of professional models and are not a true reflection of themselves. 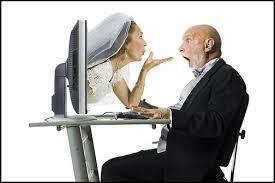 There are times when the email ids exchanged over these dating and matrimonial portals give rise to email spamming. In addition, there are occasionally photographs and other personal data exchanged over such emails chats or conversations. Masquerading online as attractive people these fraudsters attempt to allure their potential victims into providing them with financial support. This may be in the form of medical expenses,airplane tickets, educational expenses or any other means of advance fee fraud. It is a kind of organized crime. The crime can only truly be combated through the use of online education or public awareness. There are several anti-scam agencies and individuals providing online educational support with combating these deviant criminals. 1. Always verify the profile details of the individual before becoming close to that person. Employment verification can be easily done by calling up the concerned company or by paying a personal visit. 2. Don’t give money to people with whom you become friends through online profiles even if they emotionally blackmail you. 3. Do not indulge in online chatting, dating or get emotionally involved with people without verifying the truthfulness of their claims. None of the victims invariably bother to verify the genuineness of the profiles of the accused and police believe that the not so easily available ‘suitable’ partner is the reason behind it. Thus, we see that every age group and demographic is at risk. Indian dating and matrimonial websites do not accept responsibility or liability for any error or omission in any information on the site. A big reason for this is Cyber Personation, which is made very easy with the advent of online portals for relationships. People can write anything on their virtual profiles without any scrutiny. There are many cases where people realize that they are the victims of this cyber crime after they are already married to such fraudsters, when it turns out that the online matrimonial profiles of their spouse had completely fake details. However, there is legal recourse for victims of such cheating. This provision envisages that if a person assumes the character or appearance which is not what he really is or passes oneself off as someone he really is not, especially with fraudulent intent, then the victim can file a complaint before the Adjudicating Officer under this provision. The victim can be awarded a fine of upto 1 lakh Rupees. The Rules under the Information Technology Act provides that the Adjudicating Officer is required to hear and decide an application in 4 months, and the whole matter has to be decided in 6 months. The online dating and matrimonial portals can also be held liable under the Information Technology Act as there are certain liabilities associated with “Intermediaries” under the Information Technology Act. The matrimonial websites do promise suitable matches and keep emailing the same to the registered users, and also at times charge for specialized services of match making whereby they are presumed to have verified the credentials of the parties, thereby making them liable under the Information Technology Act, 2000. Also, along with action under the Information Technology Act, it is advisable to simultaneously file an FIR under Section 415, 416, 417, 419 and 420 of the Indian Penal Code. All these sections deal with cheating and cheating by personation. If you are a victim of such a cyber crime, then there is legal recourse available under the Information Technology Act against the fraudster and the Intermediary. You can directly file a complaint before the Adjudicating Officer, Ministry of Information Technology, Information Technology Act, 2000. Disclaimer: This article is only for educational purposes and does not constitute a legal opinion.